The 4th edition of the Visible Award will take place at the Queens Museum in New York on December 2, 2017. The event, which is free and open to the public, will convene a Temporary Parliament that will engage new audiences, experts and guests with nine art projects shortlisted for this year’s Visible Award. at the Queens Museum in New York on December 2, 2017Queens Museum will host a day-long public jury that will bring together artists, experts, members of the general public, and users of socially engaged art to assess the merits of nine shortlisted artistic projects and determine the winner of the €25,000 award. For the first time in its history, the Visible Award will conduct its fourth biennial Temporary Parliament in the United States, at the Queens Museum on December 2, 2017, 10am to 6pm. The event, which is free and open to the public, will convene a Temporary Parliament that will engage new audiences with nine art projects shortlisted for this year’s award. Members of the public and assembled experts and guests from many fields will gather to experience presentations, discussion, and debate, followed by an open vote that will determine the winner of the 2017 Visible Award. The Award will be presented by the visionary artist and Artistic Director of Cittadellarte, Michelangelo Pistoletto , who conceived of the event along with Fondazione Zegna. This year, the Award will be chaired by Laura Raicovich , Director of the Queens Museum, who will host the debate together with Matteo Lucchettiand Judith Wielander, co-directors of the Visible project, and Elvira Dyangani Ose , Senior Curator at Creative Time, who will be the advocate for all of the projects. Videos of the nine shortlisted projects are available for public review in advance of the Temporary Parliament on Visible’s website. The Visible Award (Cittadellarte – Fondazione Pistoletto and Fondazione Zegna) is the first European award that sustains socially engaged artistic practice in a global context, and seeks to offer a platform for innovative projects that have the potential to become visible in fields other than artistic ones. Visible’s approach has been unique from the outset for piloting the public jury format at the 2013 Award at the Van Abbemuseum in Eindhoven. Subsequently, in 2015, the Award was organized in collaboration with Tate Liverpool at the Liverpool City Council, where the notion of a Temporary Parliament was inaugurated. The public’s engagement in the assessment and voting on the art projects transformed the Award into an occasion for collective learning and the expansion of the discourse instigated by and around the projects. 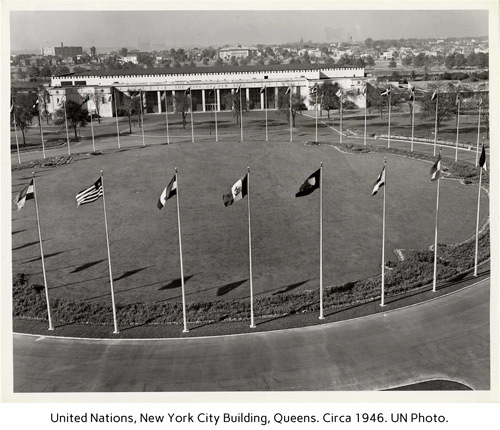 The Queens Museum has a long-standing commitment to socially engaged art, and it’s New York City Building was the location of early meetings of the United Nations from 1946-50, making it ideally suited to host Visible’s Temporary Parliament. This history was influential in determining the Queens Museum as a partner, and will impact the design of the physical space of the Parliament which is being led by London based design studio The Decorators. The following nine projects have been shortlisted from a list of 60, nominated by the 2017 Visible advisory board. • IsumaTV by Zacharias Kunuk (Igloolik Hamlet, North Baffin Island, Canadian Arctic Archipelago), proposed by Candice Hopkins.The jury as a Temporary Parliament is not simply a dialogue between experts, in order to select an exemplary socially engaged art project, but also a moment for sharing knowledge and collective learning. In the process of assessing the winning project the jury will also offer an opportunity to deepen the debate around artistic engagement in the public domain. Amanda Abi Khalil (Lebanon), Hoor Al-Qasimi (UAE), Yazid Anani (Palestine), Martina Angelotti (Italy), Ethel Baraona (Spain), Eva Barois de Caevel (France/Senegal), Michael Birchall (UK), Osei Bonsu (Ghana/UK), Gregory Castera (France), Iliana Fokianaki (Greece), Gilly Karjevsky (Israel/Germany), Sohrab Kashani (Iran), Tang Fu Kuen (Singapore/Thailand), Amanda de la Garza Mata (Mexico), Natasha Ginwala (India), Cecilia Guida (Italy), Candice Hopkins (New Mexico/Canada), Victoria Ivanova (Ukraine), Qinyi Lim (Hong Kong), Vuth Lyno (Cambodia), Camila Marambio (Chile), Renée Mboya (Kenya), Margarida Mendes (Portugal), Julia Morandeira (Spain), Manuela Moscoso (Ecuador/Brazil), Nat Muller (The Netherlands), Bavisha Panchia (South Africa), Pablo José Ramírez (Guatemala), Francesco Scasciamacchia (Mexico/Italy), Moses Serubiri (Uganda), Simon Soon (Malaysia), Anne Szefer Karlsen (Norway), TOK. Visible is a contemporary art research project devoted to producing and sustaining socially engaged art practices in a global context. Operating since 2010, it has taken a global and interdisciplinary approach to researching the physical and theoretical spaces in which these practices affect society. In 2011, Visible initiated the biennial Visible Award, the first European award for socially engaged artistic practices. As a nomadic institution, Visible has worked with a variety of formats, collaborations, and institutions, including Tate, Liverpool; Creative Time, New York; Van Abbemuseum, Eindhoven; Kunsthaus, Graz; Kadist Art Foundation, San Francisco; Center for Historical Reenactments, Johannesburg; The Serpentine Galleries, London: and the Fondation Lafayette, Paris. Visible is part of the Extended Network of Public Art Producers (ENPAP). The Visible project is directed by Matteo Lucchetti and Judith Wielander, and initiated by Cittadellarte – Fondazione Pistoletto in collaboration with Fondazione Zegna. The Queens Museum in Flushing Meadows Corona Park features contemporary art, events of hyperlocal and international impact, and educational programs reflecting the diversity of Queens and New York City. Changing exhibitions present the work of emerging and established artists, both local and global, that often explore contemporary social issues, as well as the rich history of its site. In November 2013, the Museum reopened with an expanded footprint of 105,000 square feet, a soaring skylit atrium, a suite of daylight galleries, nine artist studios, and flexible event space. The Museum works outside its walls through engagement initiatives ranging from multilingual outreach and educational opportunities for adult immigrants, to a plethora of community led art and activism projects. The Museum’s educational programming connects with schoolchildren, teens, families, seniors as well as those individuals with physical and mental disabilities. The Queens Museum is located on property owned in full by the City of New York, and its operation is made possible in part by public funds provided through the New York City Department of Cultural Affairs.